Dr. Y’s diagnosis was remarkably correct. Dyshidrosis symptom has 95% disappeared after a week, taking all medicines he prescribed. Left 5% is at the bottom of both palms, thumbs and several fingers. Mei-Shun resumed piano lesson, stretching exercise including push-ups from last night and — horseback riding today. We have it tonight. It is clear, the best condition to have a little party at home. 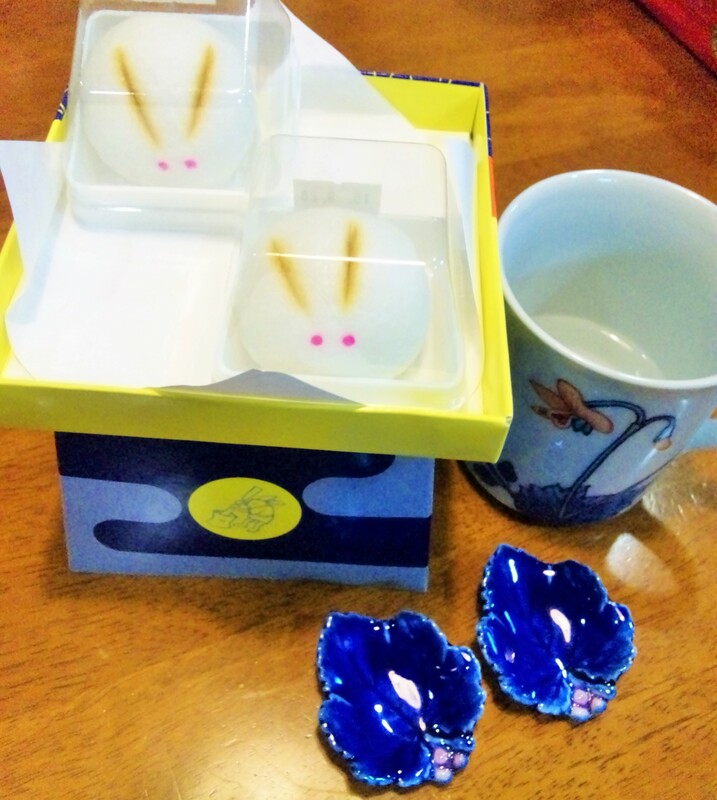 Yesterday enjoyed the harvest moon, so two consecutive days of beauty in the sky, round-shape sweets on the table. It comes only once this year, compared to three times last year — very rare phenomena. Mei-Shun’s mother enjoyed making ohagi with her granddaughter for this ohigan (=an equinoctial week). Her loved husband asked his young bride to do it during their honeymoon in 1965. It served therefore the 100th celebration for the couple. Congratulations, dearest daddy and mommy. We had a 5-day holiday called “Silver Week” from 19th to today this year. It includes Respect for the Elderly Day, which has been celebrated on the third Monday of September due to our Happy Monday System while Autumnal Equinox Day on Wednesday. Such arrangement makes Tuesday a national holiday to make us even happier. And many of us hope to have this consecutive holidays every year along with “Golden Week” in May. Beginners normally practice within a circle set in the sand ground of the club. It is exciting and enjoyable enough, yet sometimes we feel like going out of here into surrounding woods. And today, this little dream has come true. 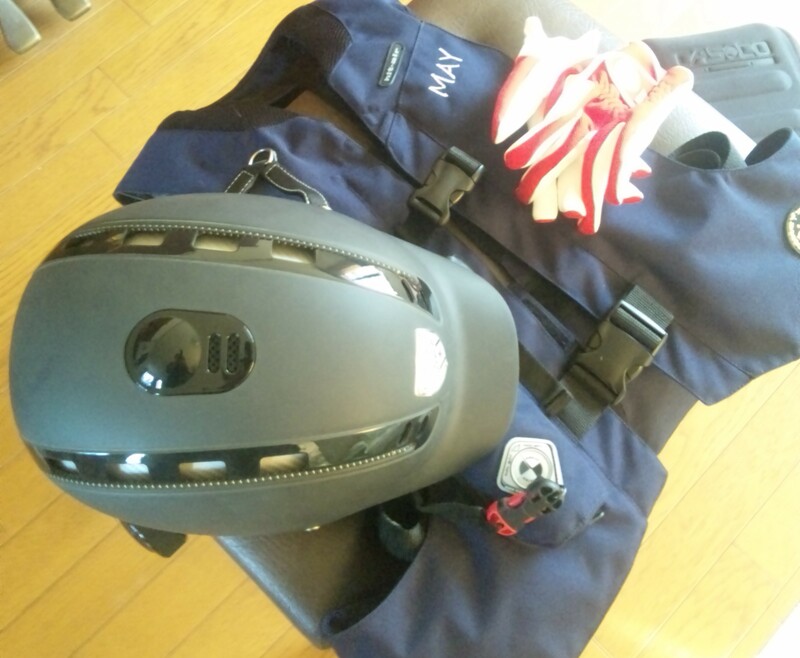 Putting on her new protective vest, Mei-Shun made an excursion on a horse named Zui-Setsu (随雪 in Chinese character maybe, meaning ever-snowing).